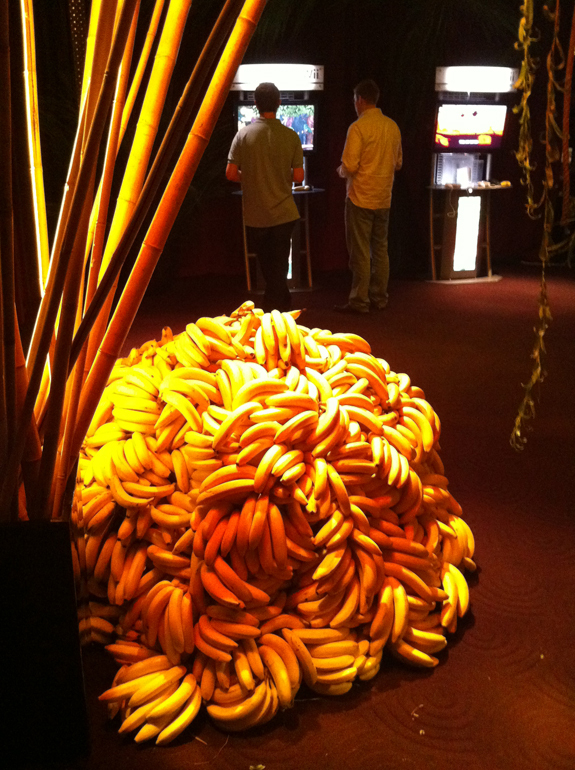 Nintendo knows how to grab attention: pile up 7000 bananas at a press event for Donkey Kong Country Returns. While it's certainly normal for companies to give away stuff at its press events, most of the swag is gaming or electronics related. Nintendo outdid itself by piling up a reported 7000 bananas to promote Donkey Kong Country Returns in addition to making the entire room look like a jungle in which our favorite gorilla would feel right at home. 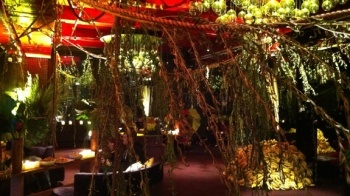 There's something funny about PR people turning a fancy New York City lounge into a nature reserve. I'm glad that a pile of fresh fruit isn't just a non sequitur either. Donkey Kong Country has always been about collecting bananas and Returns is no different. What does Kong do with all those bananas? Well, apparently he piles them up for games journalists to snag on their way out. I don't know if the pile is especially appetizing or I'm just hungry, but I kind of wish I could reach out and grab a banana right now. For information on how the game actually plays, check out Susan Arendt's hands-on with Donkey Kong Country Returns from this weekend's New York Comic Con 2010.